(A) A motion for sanctions under this section shall be made separately from other motions or requests and shall describe the specific alleged action or tactic, made in bad faith, that is frivolous or solely intended to cause unnecessary delay. (B) If the alleged action or tactic is the making or opposing of a written motion or the filing and service of a complaint, cross-complaint, answer, or other responsive pleading that can be withdrawn or appropriately corrected, a notice of motion shall be served as provided in Section 1010, but shall not be filed with or presented to the court, unless 21 days after service of the motion or any other period as the court may prescribe, the challenged action or tactic is not withdrawn or appropriately corrected. (See, CCP 128.5 (f)(1)) Accordingly, the “Motion for Sanctions” must be made separately from all other motions and must describe in detail the action or tactic that was made in bad faith that is frivolous or solely initiated to cause unnecessary delay. As for the 21 day “Safe Harbor” provision the legislature specifically amended California Code of Civil Procedure Section 128.5 on January 7, 2017 to make crystal clear the that the requirement for a 21 day “Safe Harbor” provision was mandatory and was identical to the requirements that its previous version referred to under California Code of Civil Procedure Section 128.7. (https://leginfo.legislature.ca.gov/faces/billTextClient.xhtml?bill_id=201720180AB984) The Legislature amended CCP 128.5 due to conflicting rulings on the requirement to provide a 21 day “Safe Harbor” to the opposing party. The 21 day “Safe Harbor” requirement is a mandatory waiting period from the time of service of the proposed motion for sanctions on the opposing party and the date upon which it can be filed with the court, “the safe harbor period is mandatory and the full 21 days must be provided” (Nutrition Distribution, LLC v. Southern SARMs, Inc. (2018) 20 Cal.App.5th 117, 125) Failure to comply with the 21 day safe harbor requirement renders the motion for sanctions improper. Even if the motion for sanctions has merit the court must deny the request if the filing party failed to provide the opposing party the 21 day “safe harbor” notice of their intent to file prior to filing the motion for sanctions. In need of additional information related to this article? 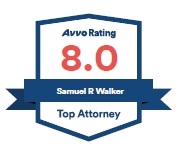 Contact the Law Office of Sam Walker for a free consultation by filing out the contact form located on our website.